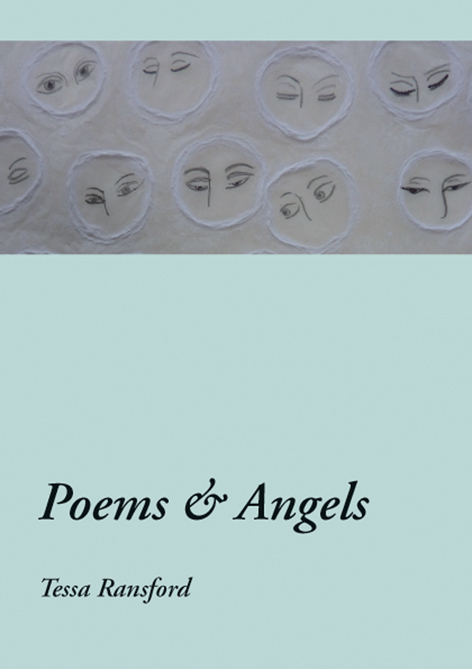 These twenty-four poems represent Tessa Ransford’s latest publication in pamphlet form. 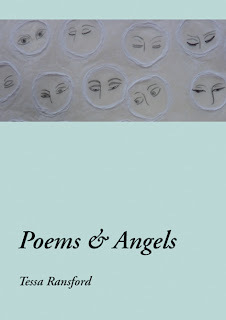 The idea for this selection, published under her wisdomfield imprint and typeset by Textualities, grew out of conversations between the poet and the visual artist Jila Peacock and their shared interest in the idea of angels, and has been specially produced for a reading at Rosslyn Chapel in August 2011. In this selection, the angelic is not necessarily understood in terms of the heavenly realm where ‘pure contingent spirits’ are traditionally represented as playing harps and singing hosannas… Indeed, for the greater part, the angelic is as much an aspect of this worldly realm as of the heavenly – though there is no strict demarcation – and sometimes it is expressed only implicitly. For Ransford, the angelic message can just as readily manifest itself in the wonder of cowrie shells once collected by a grandson on the beach at North Berwick, in the awful beauty of the ‘lightest snow’ that falls over Tintern Abbey, in Scottish autumn sunlight that transforms wet leaves to silver and dry leaves to gold, as it can in the icons of the Russian Orthodox tradition, in the minaret where flames the ‘one true thought’, and in the quivering and quaking reeds that miraculously withstand the force of desert storms. This most attractively made pamphlet comes with its own band of angels in the form of Jila Peacock’s ‘heads’ that adorn the front and back covers. These heads have a timeless quality, and like angels are only partly scrutable. They are suggestive of ancient Ethiopian cave paintings, but can just as easily be read as examples of modern hieroglyphs – the ‘emoticon’ that some attach to txt msgs.